A conservatory was primarily used as a summer room during the 1960’s and 1970’s. It wasn't practical to use during the cold months as it was a simple frame unable to keep any heat in. Heating systems today are very advanced and conservatories are extremely well built with modern materials. This means that your conservatory can be used all year round like any other room in the home. The temperature in your conservatory can now be controlled like any other room in the home so even on the coldest days you can feel snug. 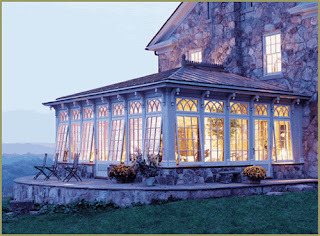 Conservatories however can still suffer from condensation, damp and cold even with heating installed. This article will look at the best ways of dealing with this, the best forms of heating and the most cost effective forms of heating. uPVC conservatories can often be sold with the misinterpretation that they are at the same level of insulation as any other extension made from brick. This however is not the case, as building regulations in the UK don’t apply to the average conservatory. Exceptions can be made for those that are more than 30 square meters or for those where you want to knock through your main living area with no doors in between. 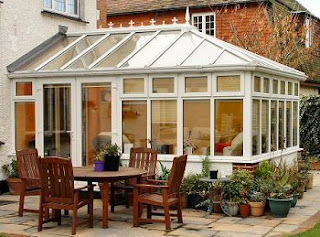 When thinking about building your conservatory you should consider a number of facts and consult with the sales person. These points will determine how much use you get from your conservatory. Glass – Pilkington K Glass in a specially formulated glass that has a metal coating on one side. This allows heat from the sun to enter the conservatory but it reflects heat from things such as fires. Condensation is also reduced as the surface of the glass is warmer. Roofs – glass roofs are far more expensive than a poly carbonate roof however they allow sunlight in and look fantastic. Argon filled units – this is where the windows units are filled with argon gas to help insulate the conservatory. 25mm Poly carbonate – the majority of conservatories come with 10 or 16 mm of poly carbonate. You can however get 25mm poly carbonate for an additional price. It is an excellent choice of roof insulation. There are many other ways to insulate your conservatory so be sure to discuss your options further with the sales representative. An excellent way of insulating your conservatory and making it usable all year round is through the use of under floor heating. This form of heating is extremely effective and worth every penny. You can heat your floor either by hot water or electric heat mats. When considering which form of heating you would like to use make sure you take into account these points. Using water needs to be planned before the conservatory is built as pipes need to be lain. The cost of using water pipes is initially more expensive however in the long run it is more cost effective as gas is cheaper to run that electric. Electric heat mats can be laid after the conservatory has been built. A new boiler should be able to cope with the demands of under floor heating, if this is the case it will be your most cost effective option. If your boiler however cannot cope a new one will need to be fitted. This can significantly increase the expense of your conservatory. This can be controlled long term though by having a separate thermostat fitted so that you are able to control the sole temperature of that room. Electric under floor heating costs less to install, it is however expensive to run. Electric heating can be controlled though by a switch as it is connected to your fuse box. A thermostat will also help to control the temperature of the conservatory. The fantastic thing about under floor heating is the advantages that become available. The floor in the conservatory will always be warm meaning tootsies don’t become cold. You can also make better use of the space in your conservatory as there are no radiators mounted onto the wall. This also means the room looks neat and tidy as wires have been eliminated. As well as under floor heating you can heat your conservatory with wall mounted radiators, storage heaters, radiant heaters and oil filled heaters. You could even look into installing a fireplace somewhere, even if it just for decoration it will make all the difference during those cold winter evenings. Whichever form of heating you choose to go for depends on your budget and how much use your conservatory is going to achieve. It is however under floor heating that will be the most effective if you want to enjoy your conservatory on those cold winter days.